A bank’s Routing Transit Number (also known as an RTN or ABA Routing Number), is a 9-digit code assigned to all banks in the United States by the American Bankers Association (ABA) since 1911. Routing Numbers are used to identify your bank whenever you make a financial transaction like writing a check, setting up direct deposit, or using your bank’s Bill Pay feature. You can find your bank’s Routing Number on the far left of the magnetic-ink strip on the bottom of all standard checks. This machine-readable strip is used to identify your bank by ATMs and during other electronic transactions. You can also lookup your routing number in the RTN directory. Can a bank have more then one routing number? 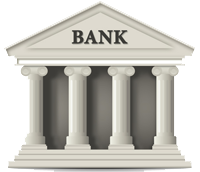 Every financial institution in the United States has at least one routing number. Some banks may wind up with more then one routing number through mergers or number reassigns, but the Federal Reserve requires that extra routing numbers be phased out within 18 months. Once the old routing number has been dropped, any checks or transactions that make use of the old RTN number will bounce and be returned unpaid. You can check if your bank has recently changed its routing number in the routing number directory.